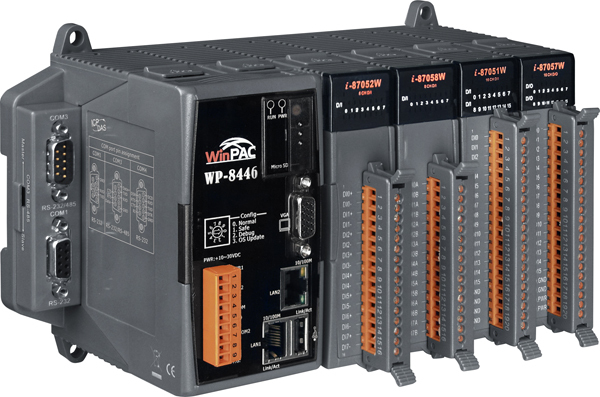 ICP DAS WinPAC-8x46 Series (WP-8146/8446/8846) is the new generation WinCE based PAC (Programmable Automation Controller). It features the powerful InduSoft Web Studio and ISaGRAF. InduSoft is a powerful integrated collection of e-automation development tool that includes all the building blocks needed to develop Human Machine Interface (HMI) and Super-visory Control and Data Acquisition (SCADA) systems. 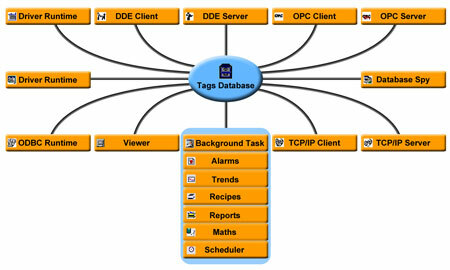 ISaGRAF is a PLC-like software and supports all five IEC61131-3 languages (LD, ST, FBD, SFC, and FC). 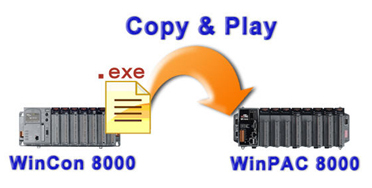 WinPAC-8x46 equips a PXA270 CPU (520MHz) running a Windows CE.NET 5.0 Operating System, variant connectivity (10/100 Base-TX dual Ethernet Ports, 2 or 4 RS-232/485 ports, 1 VGA, 1 USB port) and 1/4/8 slots for high performance Parallel-type I/O modules (High Profile I-8K series) and Serial-type I/O modules (Hot-Swap High Profile I-87K I/O modules). 128 MB SRAM, 512 KB dual battery backup SRAM, 96 MB FLASH & 16 GB microSD are included. 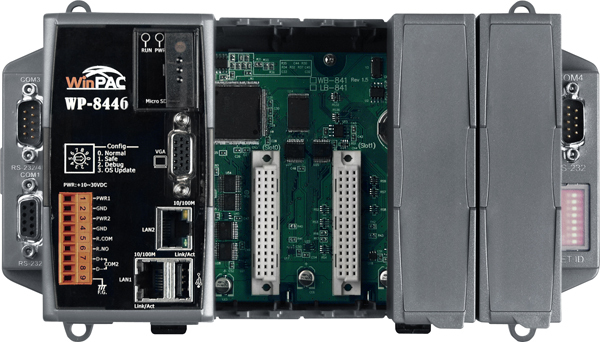 For redundant support: dual Watchdog Timers, redundant power inputs, dual battery backup SRAM, and dual Ethernet Ports are provided. 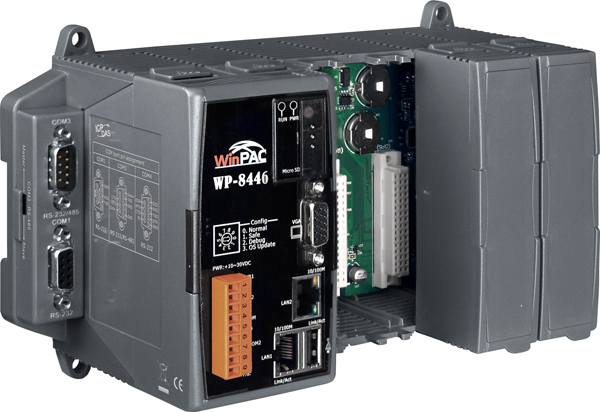 WinPAC-8x47 Series will definately upgrade your system! 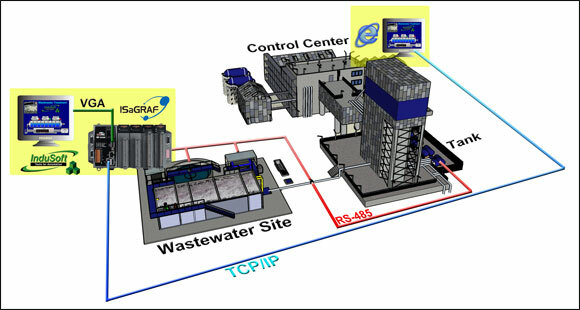 IWS applications run on microcomputers connected to real-time to machines or processors through WinPAC programmable controllers, remote I/O devices, and other data acquisition equipment. 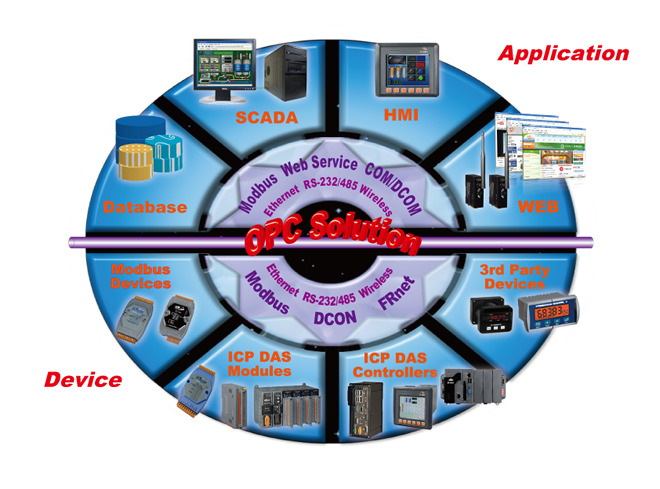 These applications consist of animated operator-interface screens, rollable I/O devices, application tags databases, and optional modules such as alarm monitors, trend charts, recipes, schedulers, and security systems. Intuitive scripting language with more than 100 standard functions is provided. Dynamic library of symbols - customizable. 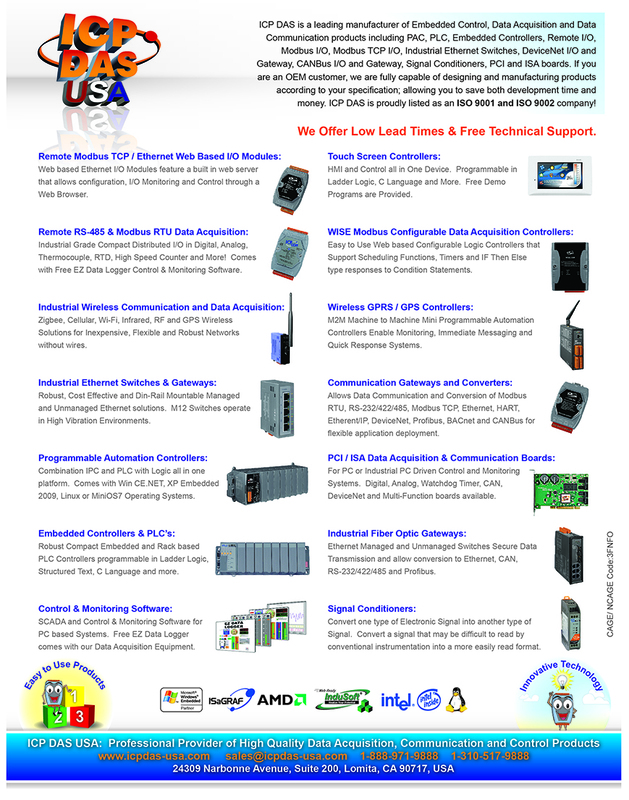 Support five IEC61131-3 languages, LD, ST, FBD, SFC, IL plus FC. Web HMI Support Web HMI function, PC running Internet Explorer can access to the WP-8x46 via Local Ethernet or Internet or dial Modem, monitoring and control. microSD socket with 1 GB flash card. Supports up to 16GB.